I’ve been taking part in #HockeyFightsDV (a fan-organized campaign to support survivors of domestic violence by turning hockey stats into donations) since early November, and figured it was high time for a check in! We’re only just past the midway point of the season, and I’ve got a low ceiling as far as donations are concerned, but I think we’re going to have to mix things up a little. The Stars have struggled and Seguin and Benn have seen some time apart (to their chagrin, I’m sure), so the $0.50 I had originally allotted per point they teamed up for is a bit low. I’m rather invested in the Stars’ offense as a whole, so I’m going to add something to this category. I’m going to keep it at $0.50 (call it a misguided effort to try to goad the Stars into getting more points) but will award it for any combination of two or more of the following players: Tyler Seguin (TSegs), Jamie Benn (Captain Mama Bear), Jason Spezza (duck sauce beat drops), and Ales Hemsky (who looks good in green, despite having struggled this season after a dazzling short run with Ottawa). Teamwork, boys. Make me proud. Phil’s also had a bit of slumpery, but I’m a Smart Girl who refuses to get further invested in the Leafs (a childhood spent cheering for Toronto sports teams has informed this decision; if you have ever done this or considered doing so I advise against it). You keep on doing you, Phil. EK65 has been playing quite well, but I want to up the Sens’ ante because I’m proud of them all (yes, you too, Jared). In honour of his (adorable) captaincy of Team Canada’s WJC team, I’m going to donate $5 to MWAG for every Curtis Lazar goal. If you’d like to join up, I highly recommend it – it’s a tangible way to turn our enthusiasm for our favourite players and teams into something that will help valuable services provide support to even more people. You can make donations as small or large as you like, and you can also convince other people to sign up – I’ve already persuaded two! If you’re looking for an organization in your area to support, Hockey Fights DV has a list of some of the charities participants are supporting as well as some of the pledges people have made, which you can browse for ideas. $10 for a Carey Price shutout, $5 for every penalty Nazem Kadri draws (or Corey Perry takes), $1 every time a team in your conference loses (thereby bringing your team further into the playoff picture) – whatever you like! And spread your support – tell people about the campaign, ask your chosen organization the best way to support them, and call out sexism and violence wherever possible in your own life. Keep yer stick on the ice. I wrote another guest post at High Heels and High Sticks, this time about Daniel Alfredsson’s retirement. I’m joining up with #hockeyfightsDV, a fan-run effort to raise both funds and awareness to combat domestic violence and support survivors of violence. Violence against women has been on the forefront of the NHL for quite a while, with high-profile arrests of Semyon Varlamov and Sasha Voynov in the last year. There are a myriad of other troubling incidents with regards to sexism and violence against women present in hockey: from Harry Zolnierczyk to the OHL players sending harassing and threatening messages to women on tinder. It’s important to talk about these incidents and issues, and it’s also important to support organizations that are helping and protecting survivors of violence. To that end, I will be donating $1 to the Muskoka Women’s Advocacy Group (MWAG) every time Erik Karlsson or Phil Kessel scores. Erik Karlsson is my favourite player and is a great role model in the NHL for leadership, shots from the point (I’m incorrigible), and charity. 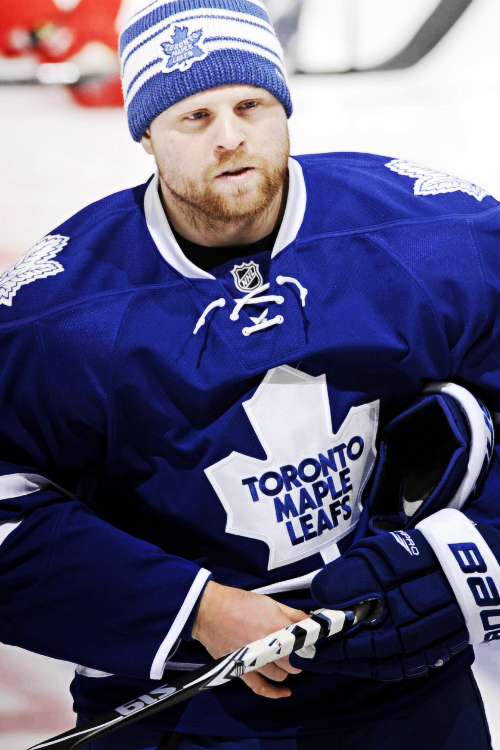 He does a lot of work with animal shelters and is an outspoken advocate for mental health, self-care, and “[being] nice to yourself.” Phil Kessel is another of my favourite players, and is also a big charity guy – a cancer survivor himself, he sponsors a box for children fighting cancer at ever Leafs home game. MWAG operates two 24-hour crisis shelters for abused women and their children in Ontario – Muskoka Interval House in Bracebridge and Chrysalis in Huntsville, which also offer supportive transitional housing units for vulnerable women. Their website also has important information for women in trouble, and provides tips on how to cover your tracks online and prevent your abuser from knowing you are seeking help. I will also be donating 50 cents to a similar group in Ottawa for every point that Tyler Seguin and Jamie Benn score together. (They’ve got an attached-at-the-hip-and-wear-each-others’-gloves thing going on. I don’t know what it is but I like it.) I’m still doing some research on the best places to donate – I’m looking into the trans-inclusive policies of a few organizations, and would like to support somewhere that works with new immigrants and First Nations women. I’ve got a few in mind, but let me know if you have any suggestions! My current budget for additional charity is small, but I’m hoping to get a bunch of friends on board as well. Just pick a stat, pick a reputable organization doing good work, tally at the end of the month, and encourage others to do the same. This is a great initiative – it was started by Alexandra Edwards and is, according to the official tumblr, “modelled after LA Kings captain Dustin Brown’s own fundraising efforts.” I encourage you all to make your own pledge, however big or small. You can make it fun if you want – $2 for every Bobrovsky-Foligno hug, $50 for every John Scott goal (…maybe pick something else, on second thought), $1 every time PK Subban does something that makes you need a moment to calm down, $5 every time the Leafs or Oilers outshoot the other team, $10 every time Jo Drouin and Nate MacKinnon score in the same week – anything you want! The fantastic people at High Heels High Sticks asked me to write a guest post on the state of concussions in the NHL. NHL players are grown men who I would like to be able to trust to make their own decisions regarding their health and ability to contribute to their team after a hard hit, but they don’t exist in a vacuum, and neither does the culture that informs those decisions or the lies their coaches tell us.